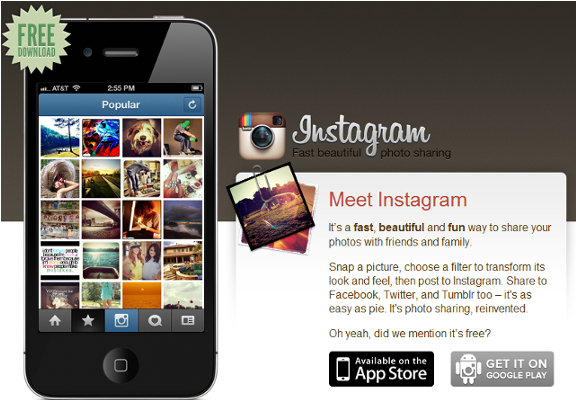 Today Facebook announced that it acquired Instagram for $1 billion. This is six days after Instagram expanded the platform of its quirky photosharing app from it’s former iOS exclusive status to be also available on Android phones. For those unfamiliar with the app, Instagram is an app that allows users to apply preset filters to images snapped on smartphones. These filters are highly stylized and give pictures the appearance of vintage photographs. Instagram currently includes export options for Email, Twitter, Facebook and other social networks, and has a registered user base of over 27 million strong as of this March. This is the answer to those of us who were wondering how Instagram could monetize, as a free platform that lacks advertising and paid features: Grow a massive user base and sell it to the house of Zuckerberg. Now that it’s been sold, we can only wonder what will Facebook do with the platform. After all, Instagram is worth $1 billion to them. Let us know what you think in the comment section below.